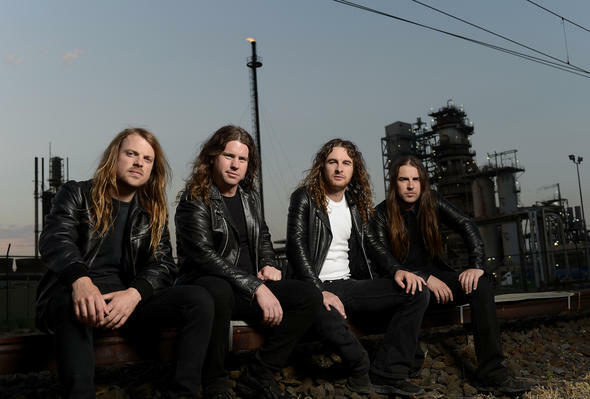 Australian hard rockers Airbourne are back, in (mostly) black, and with a new album. Anyone who has listened to the band in the past will have a pretty good idea of what’s on offer on “Black Dog Barking”: a power-hit of no frills, brawny, brash, 80s-flavored rock that doesn’t apologize for being sweaty, hard and rowdy. That brand of rock’n’roll has served these guys well in the past, and they stay true to it here with an album full of live-wire, party-fuelling rock, served up with enough energy to pop the lid off any beer bottles within range. The one difference I do detect is that the band’s sound has stronger echoes of vintage Def Leppard (just listen to all those group backing vocals! ), rather than AC/DC – and that’s not necessarily a bad thing. As always, Joel O’Keeffe’s relentless, 100 proof voice is the fuel on the musical fire here, and he shows off some range as well as muscle. Behind him, the gang’s all back in force and doing what they all do best: rocking the hell out, with Joel’s brother Ryan O’Keeffe on drums, David Roads on rhythm guitar, and Justin Street on bass. “Black Dog Barking” contains no real surprises: there are no power-ballads, no acoustic softies, no real experimental messing around with the recipe for success that the band has crafted over the years. They come speeding out of the gate with “Ready To Rock” and then just basically amp it up from there. Arena-sized rocker “Back In The Game” is another ripper of a track, bringing it on as though big hair and big guitar-power never went out of style (it never really did, right?). 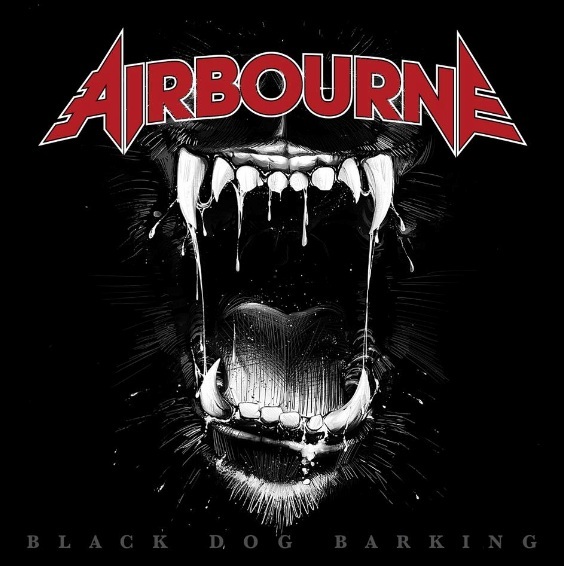 And it’s no shocker that the band picked “Live It Up” as the first single – this is a quintessential Airbourne track that revs things up from a glorious retro-rocking intro and then slams it down hard with the drums and guitars and Joel’s vocals pushing it all even higher. My own personal favorites on “Black Dog Barking” are without a doubt “Hungry” – a wicked speed demon of a tune with an irresistibly rough, almost punk-rocking edge; and the final track, the equally rocket-fuelled “Black Dog Barking”, with its delicious howl and grind. This album is familiar musical territory for anyone who has listened to Airbourne in the past, it’s solid and without any real soft or weak spots, and showcases still rough-and-tumble band that has acquired maybe just a smidgen more gloss and polish than before (not that there’s anything wrong with that!). Put simply, this is rock, Airbourne-style, nothing more and definitely nothing less.